My obsession for Zataar W Zeit finally got the best of me when I was in Dubai and after much, much persuasion Nayef agreed that we could go there. 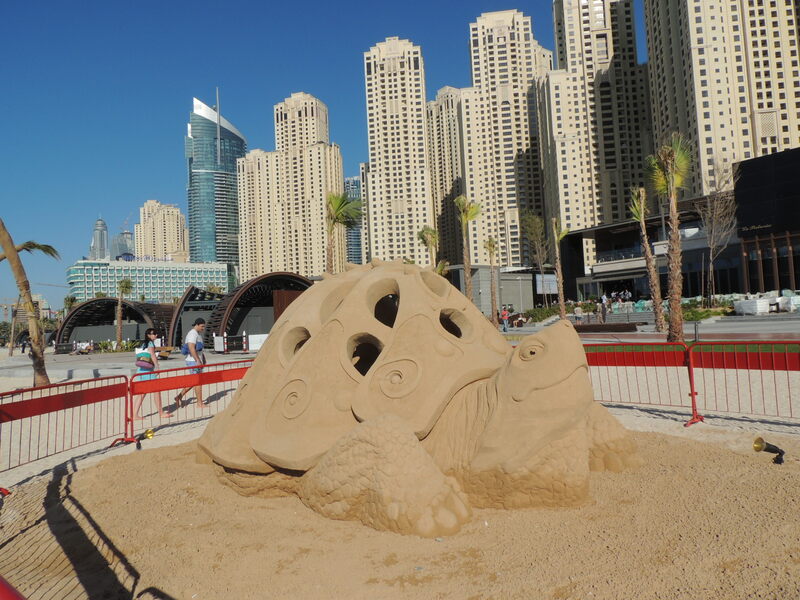 The closest one to us was located at the Jumeirah Walk so we headed there. 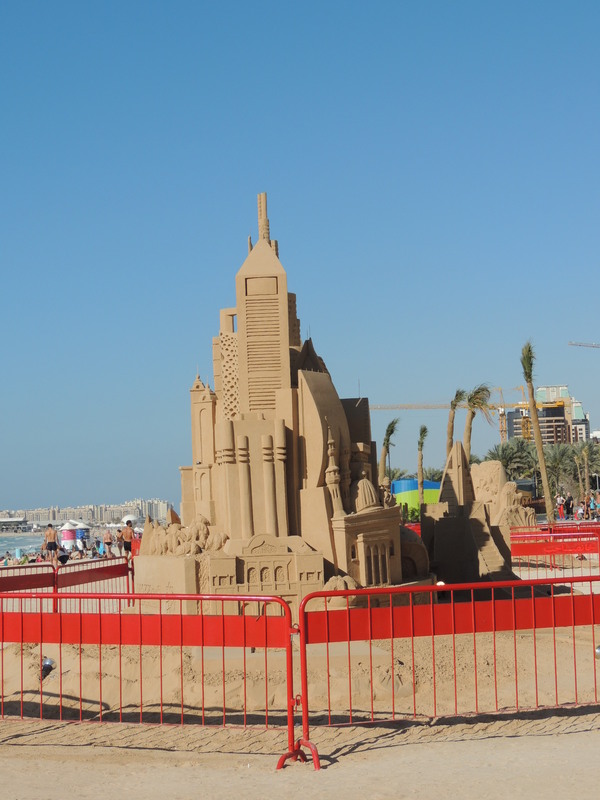 After stuffing our faces with zataar and cheese, we decided to go for a stroll along the beach, and stumbled upon these cute sand castles, er, uh, sand sculptures? 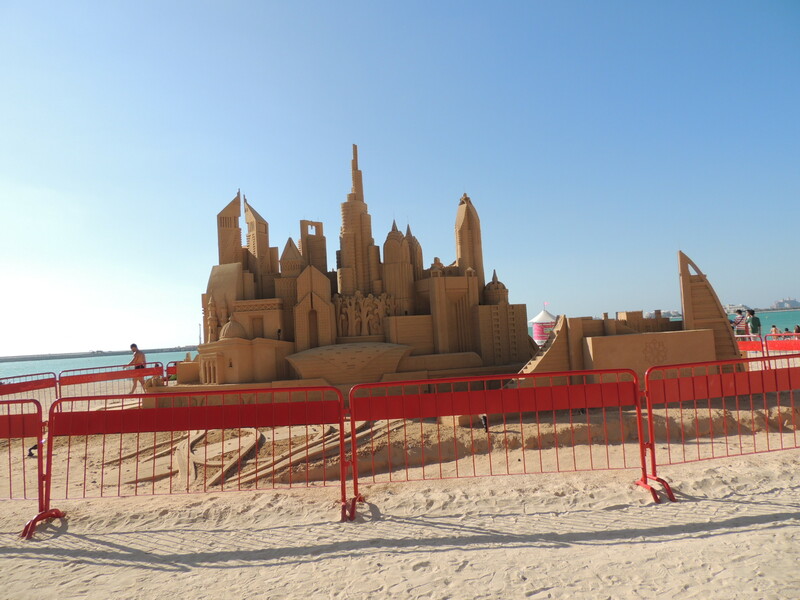 Sand sculptures. 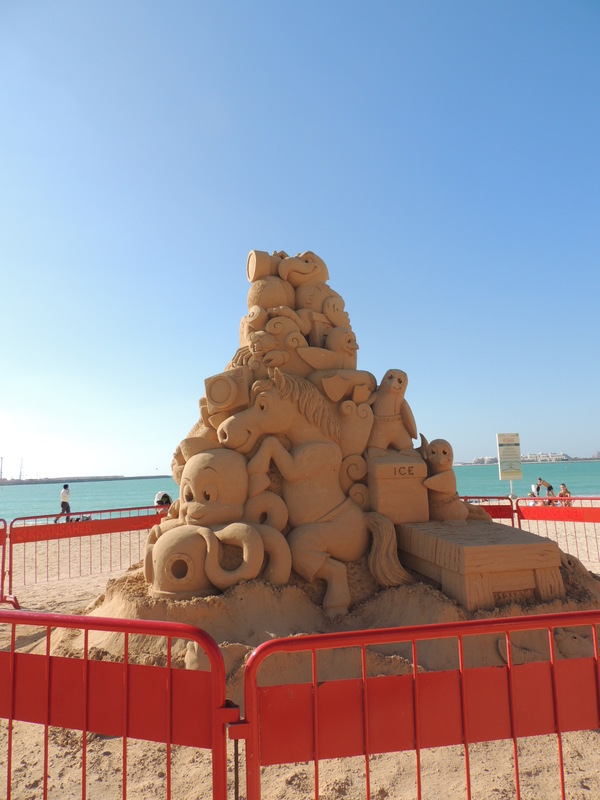 We stumbled across some lovely sand sculptures. My favorite one is the sand Dubai. Which is yours? I love this post! So awesome! You might like my most recent! Go check it out 🙂 thanks!